"The ways in which I conduct business, mimic the ways in which I choose to live my life. I believe in hard work & dedication, and growth & perseverance. I believe in giving my absolute best, to my team, our clients, and business partners. I absolutely love real estate and development and feel blessed to be surrounded by such inspirational, driven, and successful individuals. The atmosphere MAJ Commercial Real Estate and MAJ Development provides, encourages and excites me. I always look forward to working on new projects/properties. Above all, I have a strong passion and desire to always have a positive outlook & attitude. As Earl Nightingale said, “Our attitude toward life determines life’s attitude towards us.” I am a strong believer that with projecting positive energy, that is exactly what you’ll receive in return." Brandi M. Ho has over fourteen years of experience in the real estate industry. 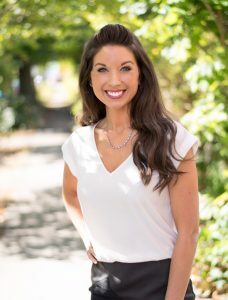 She began her career as a REALTOR in 2004, in the residential sector of real estate, specializing in home sales throughout Southwest Washington. Brandi is a third generation real estate broker and a native to Clark County. Living and working through the ever-changing and fluctuating real estate market has given her the ability to easily adjust and the knowledge to prepare for such expected changes, as the market continues to evolve. Staying on top of the newest rules, regulations, state implemented processes’, market trends & marketing strategies is imperative to the success of all real estate transactions. In 2005 Brandi began working for the Investment Division where she became acquainted with the commercial side of the real estate business. She currently specializes in residential home sales in Clark County, WA and commercial transactions consisting of investment properties, Tenancy in Common purchases, retail and multi-family development. Brandi attended and graduated from Clark College with her Associate Degree, she is a member of the National Association of REALTORS (NAR), Washington State Association of REALTORS (WAR), the Regional Multiple Listing Service (RMLS) and Loopnet. Brandi is a member affiliate to LuxuryHomes.com.